When a trending price pauses and goes back over slightly in a rectangular range, the flag pattern occurs. This pattern gives us the opportunity to enter the market in the middle of a trend. The break out in price continues its original strong down trend, gives us the chance to enter that trend at a better price than before the formation of the flag. 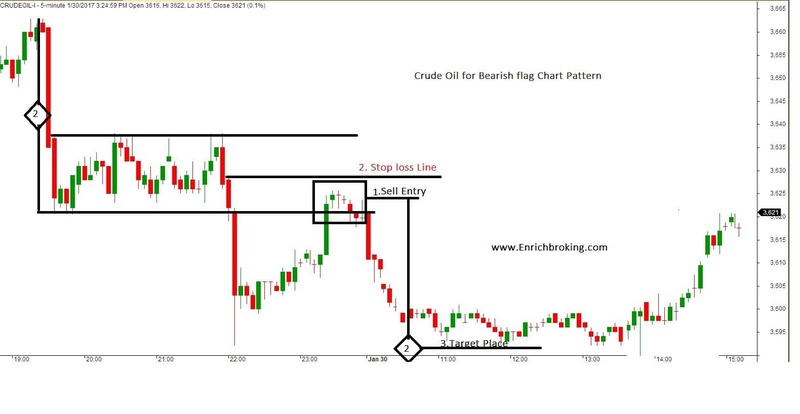 How to identify bearish Flag patterns? 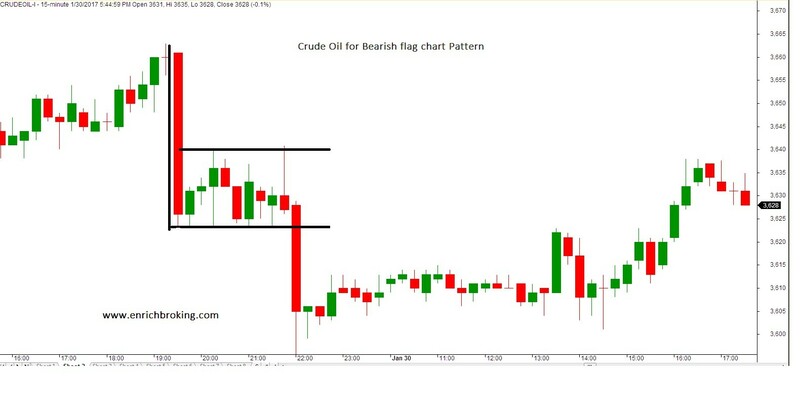 The chart below is an illustration of bearish flag pattern. Wait until the price has broken out of the Flags upper trend line in the direction of the original uptrend. 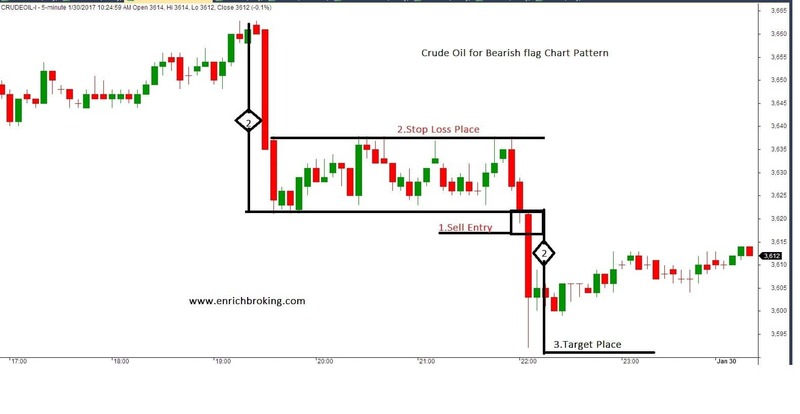 Place a long buy entry order once the candle that has broken out of the flag pattern has completed. Enter your trade after the price falls below the Flag lower trend line. Number 1: Area where price has found resistance at the previous support line. Place your stop loss above the new resistance area. The break out in price continues its original strong trend, gives us the chance to enter that trend at a better price than before the formation of the flag. Trading a bearish flag pattern: Wait for the price to break out of the Flags lower trend line in the direction of the original downtrend. Place a sell (Short) order here. Place your stop loss at the level where the Flags Higher trend line reaches its highest point. Calculate how far the price rose in its initial downtrend. Place your profit target the same distance above the level where the Flags lower trend line ends.